The story of the creation of GI Joe has been told many times, and there is much more to it than can shared in this brief run-down. If you want more detail I encourage you to check out John Michlig’s GI Joe, the Complete Story of America’s Favorite Man of Action. Watch for updates to the Reference Books page for more details on that and other sources. As much as we tend to mythologize our childhoods, the toy business has always been just that: a business. Designers and manufacturers try their best to figure out what will fly off the shelves and fatten their bottom line. The toys that gave us so many hours of fun and fantasy as kids began their lives at desks and in offices as employees racked their brains to figure how to get kids to make their parents spend money. 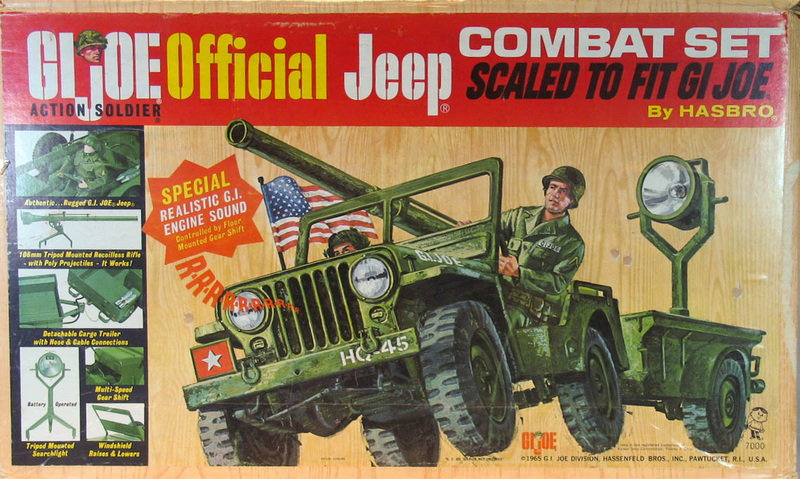 The journey from concept to beloved plaything is an interesting one for GI Joe because, although it combined several pre-existing ideas (toy soldier, poseable doll, accessory sets), it did it in a way that was groundbreaking both for the 1960s and for its parent company Hasbro. While the late Don Levine is often credited as the father of GI Joe, the original idea came from a licensing agent named Stan Weston. Weston, who later went on to help Ideal develop Captain Action, was peddling the licensing rights to a short-lived NBC show called The Lieutenant when he had the idea for a large toy soldier with accessory sets. In 1963 he brought the idea to Hasbro where he discussed it with Don Levine. 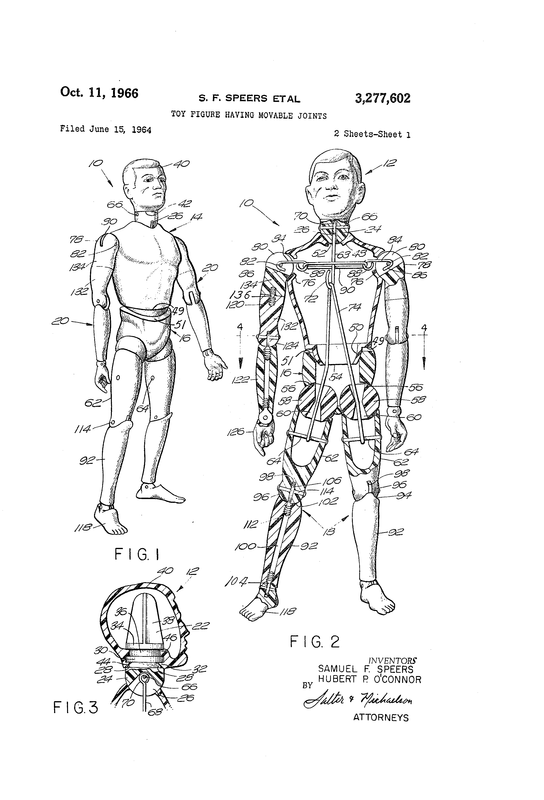 Despite a longstanding ban on dolls from Hasbro’s then-CEO Merrill Hassenfeld, Levine saw potential in Weston’s idea and put his creative team to work. Initially there was discussion of creating just a soldier, then three different figures, Rocky the Marine, Skip the Sailor, and Ace the Pilot. 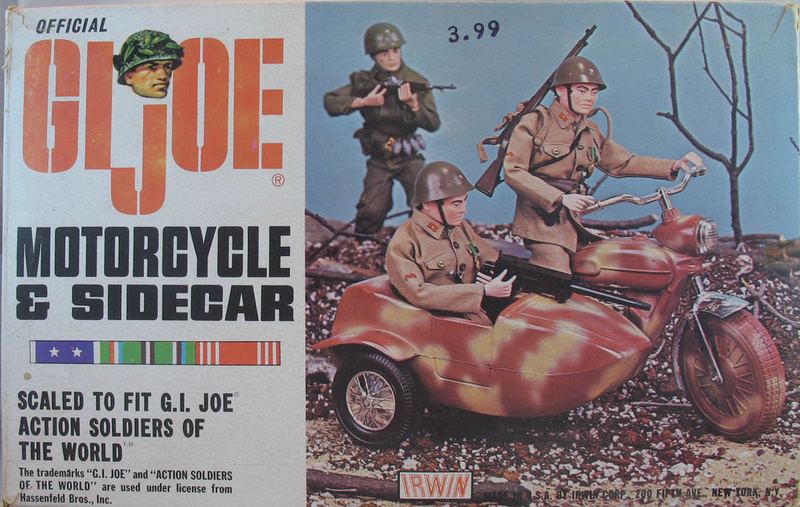 Fortunately, Hasbro’s ad agency pointed out the confusion the different names could cause, and Levine happened to catch the classic Robert Michum/Burgess Meredith film about Ernie Pyle called The Story of GI Joe, which inspired the now classic name for the line. Designer Sam Speers led the group that developed the innovative body design while sculpting of the final head was farmed out to artist Phil Krackowski who had recently completed a sculpture of John F. Kennedy, which may account for Joe’s slight resemblance to the president. While the packaging design concepts were worked out in-house, the art that became central to marketing GI Joe was created by local commercial artists Thresher and Sam Petrucci. While there was much hand wringing and angst about whether boys would play with a doll, Levine brilliantly sidestepped the issue by insisting the GI Joe be marketed as an “action figure” and threatened the sales force with punishment if they used the forbidden d-word when selling the new line. Just before the official debut at Toyfair 1964 Hasbro gathered sales reps from some of the largest retailers together to show them a sales film about G.I. Joe. This was the official debut of the Action Soldier, Action Sailor, Action Marine, and Action Pilot. Responses were cautiously enthusiastic, and few orders were placed. Things looked good, and looked even better after running some test marketing in New York where product sold out in just a few days. Production went into overdrive to supply stores by the busy holiday season. 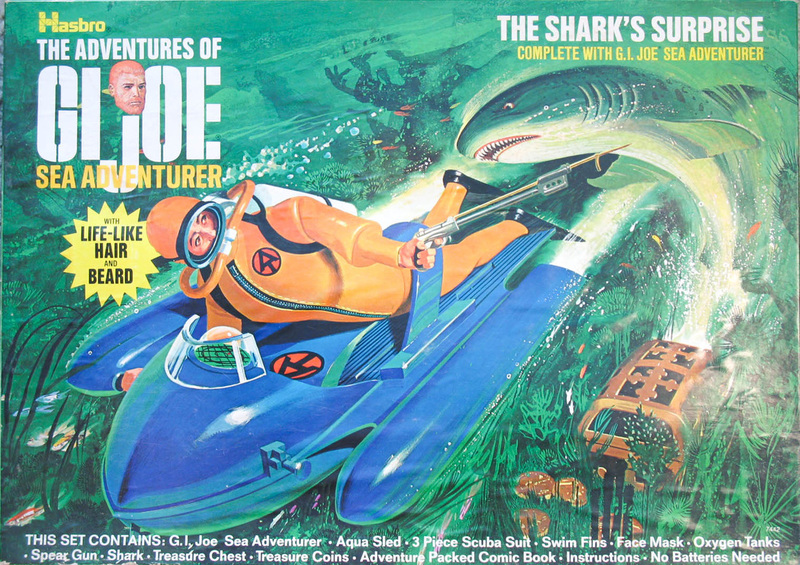 The following years saw Joe’s sales grow, supported by classic TV commercials, and introduction of big selling sets like the Deep Sea Diver, the Jeep and the Space Capsule. 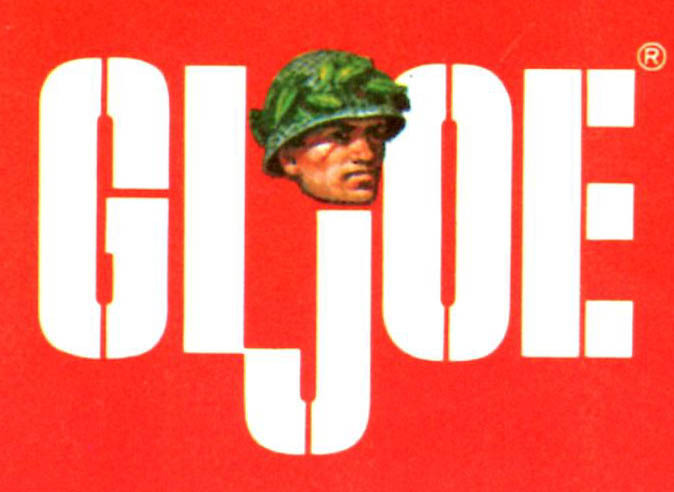 1966 added the Action Soldiers of the World to the line, and 1967 was the peak year for the military era, debuting classics like the Fighter Pilot and Talking GI Joes, and even the failed G.I. Nurse Action Girl. Times were beginning to change though, and there was some activism growing against war toys, fueled by national discontent about the Viet Nam war. Sales began to flag and Hasbro looked for ways to renew interest in the line. 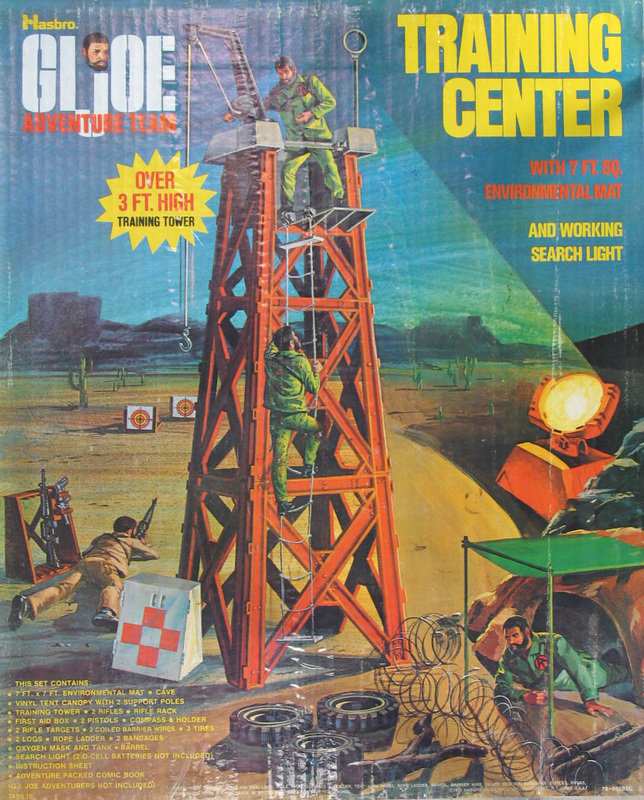 1969 brought a new direction, the Adventures of GI Joe. Inspired by both by tales of real-life adventure and action films, staff developed eleven new adventure sets and four new figures. These reused many military era accessories, making the line more cost effective. This line was a bridge to the 1970s and Joe’s transformation back to a top seller with the Adventure Team. The transformation of G.I. Joe to a man of adventure was completed by a big change in his look, courtesy of a flocking process that came to Hasbro at the suggestion of British licensee Palitoy. G.I. Joe left the military behind to become Adventurers on the Land, Sea, and Air. The black figure even got a new, more realistic head sculpt. The line blossomed with new vehicles and Adventure sets and stayed strong with innovations like Kung Fu Grip. By the mid-70s sales were flagging again, so the figure was redesigned and a final burst of new adventure and play sets were released, but to no avail. 1976 was the end of the vintage era. An effort was made to maintain the brand with an eight-inch space themed series called Super Joe in 1977, but that only lasted another year before the plug was pulled and the brand shelved until the early eighties. The story of the rebranding of the figure into A Real American Hero can be found on our companion site, 3DJoes.com!